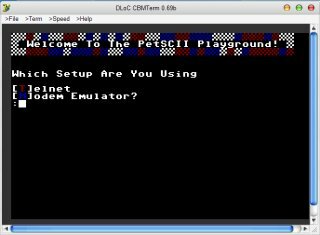 I've put up and experimental "telnet" BBS that uses the Commodore PetSCII character set exclusively. (That means if you try to access it via a regular telnet client on a PC, such as PUTTY, all you'll see is trash.) 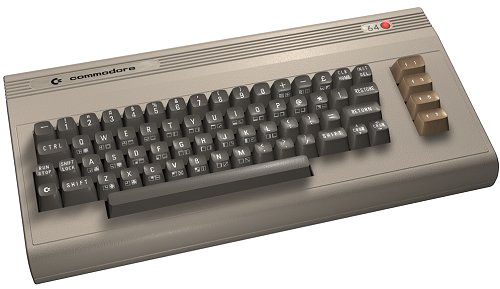 It is a multi-user system that uses Commodore color and graphics (PetSCII) for all of it's display routines. Using CBMTERM: Just pick 'PetSCII Playground' from the built-in address book. The only thing to note is that you'll want to use at least the 'medium' setting to view the movies, or else they go by so fast you miss the animation. A big part of the old C= BBS experience was the animation of menus, etc.